Herbs for memory have been shown to help stimulate the mind and prevent memory loss. Memory is a psychological process, but, as anything else that happens in our brains, has an organic component. This is based on connections between nerve cells (neurons), which communicate with each other using chemicals called neurotransmitters (serotonin, dopamine, norepinephrine, acetylcholine). It is therefore important to provide the brain with the necessary chemicals it needs for the memory process. An important element is oxygen. We all know that without oxygen, brain cells deteriorate. So a better blood circulation will result in better oxygenation of the brain. Memory also depends on the quality of neurotransmitters which is why we need vitamins and minerals. Nature gives us many herbs for memory which enhance the brain's neurotransmitters, while others improve the flow of blood to the brain thus supplying the nutrients it needs to perform effectively. These memory herbs also contain powerful antioxidants that fight dangerous free radicals in the brain that can cause serious cell damage. You must always remember :) to exercise your mind. "Repetitio mater memoriae" (Repetition is the mother of memory) sounds familiar to you? Attention, concentration, stress, sleep and motivation are other important factors that influence the memory process. Vegetables, fruits and herbs can help in these cases too. Ginseng is one of the most popular herbs for memory. It is known to have a beneficial effect on memory, allowing stress level adjustment. Ginseng is also rich in minerals and vitamins. Ginseng ensures a good oxygenation of the brain and increases the intake of nutrients by increasing blood flow (due to dilated vessels in the brain). It is recommended for people with memory deficiency due to cerebral circulation problems. Contraindications: Ginseng is not indicated, or must be used with maximum caution by those who suffer from hypertension or cerebral vascular fragility. Mugwort / Common Wormwood (Artemisia vulgaris) is an excellent brain tonic, useful in cerebral congestion and spinal cord stimulation. Mrs. C. F. Leyel said that the connection between brain and the spinal cord is so tight, that herbs which have effect on the spinal cord have great chances to influence a region of the brain. Mugwort, for example, stimulates the spinal cord and helps in cerebral congestion. Often, sleep walking is treated with Common Wormwood. This is an excellent brain tonic. Contraindications: People with nervous disorders, those with intestinal diseases and pregnant women should avoid this herb. Anise is famous for its calming effect on the nervous system. A cure with anise fruit infusion is good for mental fatigue and headaches, thereby increasing concentration. Anise fruit infusion: Pour a cup of boiling water over 5-6 crushed fruits and let steep for 5 minutes. Strain and drink sweetened with honey. Drink daily 2 cups of infusion for a week. Rosemary (Rosmarinus officinalis) is also among the best herbs for memory. It acts a herbal tonic which induces a state of energy and revitalization. Rosemary stimulates blood circulation by toning the capillaries and improving venous blood flow. In addition to memory improving, rosemary helps to maintain the concentration and to treat headaches. During periods of sustained intellectual effort it is recommended a cure with Rosemary tea. Drink 2-3 cups daily (1 teaspoon of Rosemary to 1 cup of water). Soy has a "healthy" reputation par excellence. In phytotherapy, soy preparations prove themselves useful for the proper functioning of neurons and memory in general. It works also against stress. Hawthorn (Crategus monogyna) helps dilate blood vessels, thus improving cerebral circulation. Use the fruits, flowers and leaves as a brain tonic to help memory problems. Lesser periwinkle (Vinca minor) contains over 50 alkaloids, the most important being vincamine, a substance that regulates blood circulation to the brain, thus contributing to a better oxygenation of the brain. Phytotherapists also recommended Lesser periwincle infusion and tincture therapy to patients suffering from Alzheimer's. Prepare the infusion from 1 teaspoon of dry plant and a cup of water. Drink 3 cups per day, for 14 days. Lesser periwinkle tincture is obtained from 50 g of plant and a cup of 70 degrees alcohol. Let it soak for 15 days. Strain and store in a cold place. Take 1 teaspoon of tincture diluted in a cup of water for 6 weeks. As always, you must take into account that some of the herbs for memory may have side-effects for your condition. 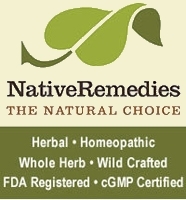 Ask your physician to recommend a safe herbal remedy. Best herbs for improving memory. Use Ginkgo Biloba to treat short term memory disorders and improve short term memory.